One of the world’s largest and most versatile floating cranes – the 25,000 tonne Asian Hercules III which has a lifting capacity of 5.000 tonnes – lifted and installed the first 1,800 tonne structure yesterday. 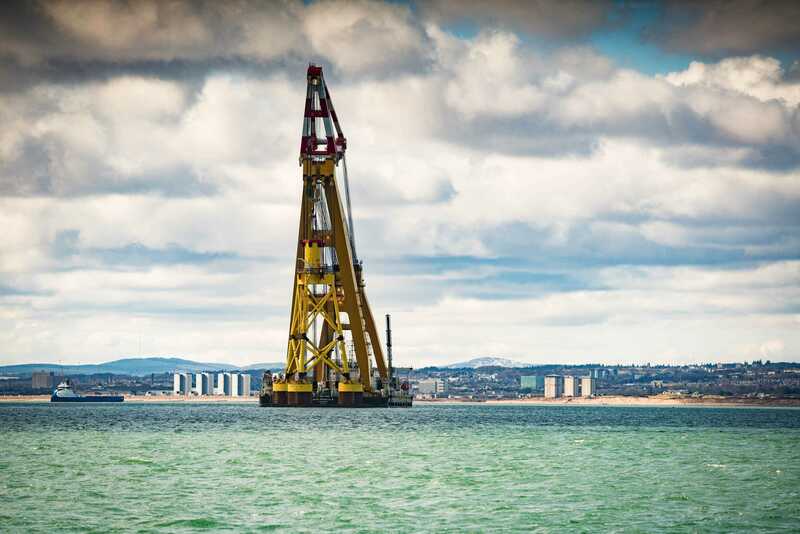 Aberdeen Bay is the first offshore wind project to deploy the foundations at commercial scale with each of the 11 steel jacket foundations weighing in at almost ten Boeing 747s. 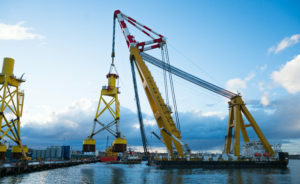 The 77 meter-high, 1,800 tonne steel jacket foundations stopped briefly in Dundee before making their way to Peterhead after travelling by barge from Newcastle. Adam Ezzamel, EOWDC project director for Vattenfall, said: “The first installation of the suction bucket foundations is a major accomplishment for the EOWDC project team, our contractors and the offshore wind industry. Suction bucket jacket foundations – which can each be installed with a single offshore lift, virtually without noise and within a matter of hours – bring considerable environmental benefits. 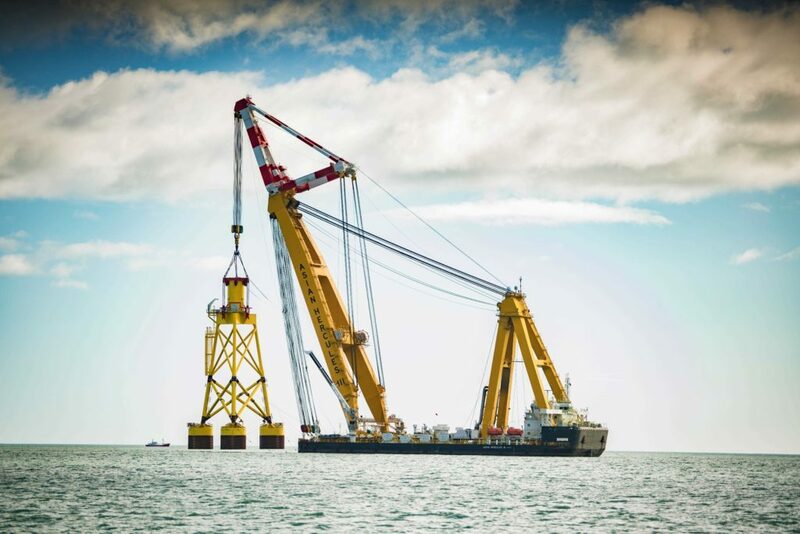 They are lowered into the water where the upturned buckets are rapidly embedded into the seabed to create a secure foundation for installation of the world’s most powerful wind turbine later this spring. Scottish Government Minister for Business, Innovation and Energy, Paul Wheelhouse MSP, said: “The European Offshore Wind Deployment Centre provides a real opportunity to showcase how innovation ‎can continue to reduce the cost of offshore wind and it’s fantastic to, at long last, see the first installation of the project’s offshore infrastructure. As Scotland’s largest offshore test and demonstration facility, the 92.4MW EOWDC will trial next generation technology and, once constructed, will generate the equivalent of 70% of Aberdeen’s domestic electricity demand and annually displace 132,977 tonnes of CO2.